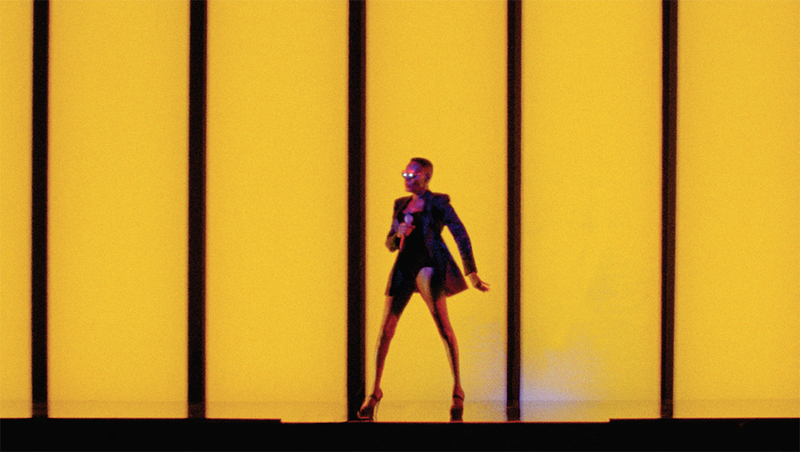 Sophie Fiennes, Grace Jones: Bloodlight and Bami, 2017, 16 mm and video transferred to 2K video, color, sound, 115 minutes. Grace Jones. Still from Sophie Fiennes’s Grace Jones: Bloodlight and Bami, 2017, 16 mm and video transferred to 2K video, color, sound, 115 minutes. Grace Jones. For GBJ, age is nothing but a number. And time is but a hollow, ever-spinning circle. Viewed charitably, that credo further serves, sort of, as the organizing principle of the documentary devoted to her. 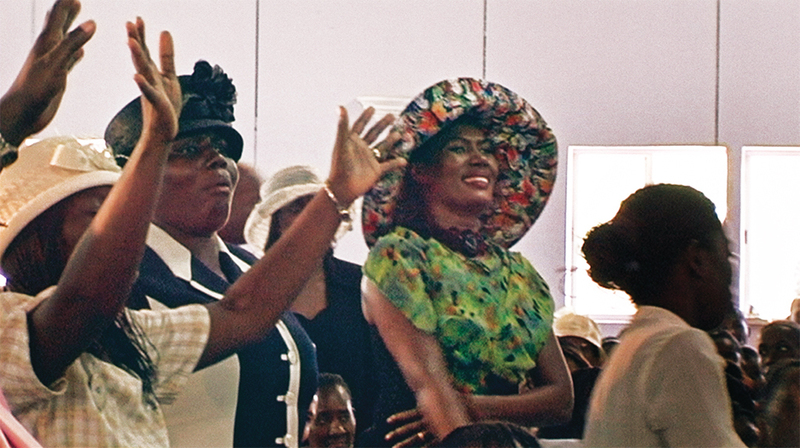 Most of Bloodlight and Bamithe subtitle is Jamaican vernacular for, respectively, the red illumination that signals when a recording is in session, and breadwas shot between 2005 and 2010. The documentary had its world premiere at the Toronto International Film Festival last September. It is a tardy movie, in many ways not up-to-date. But Bloodlight and Bami’s puzzling lateness is mitigated by the fact that it centers on someone whose mind, body, and artistry have defied the inevitability of senescence. Fiennes’s film is also, intentionally or not, and for better or worse, a supplement to Jones’s autobiography. In the last chapter of I’ll Never Write My Memoirspublished two years before Bloodlight and Bami debutedJones discusses Fiennes’s project with typical open-endedness: “I think the film we have been making together will completely contradict this book, or confirm it, or complement it, or all threeit will be about one of the Grace Joneses in this book, or some of them, or none of them.” (The performer met Fiennes via the director’s first feature-length documentary, 2002’s Hoover Street Revival, which focuses on the Los Angeles church led by Jones’s brother Noel, who also appears in Bloodlight and Bami.) While no earthshaking augury, Jones’s prediction about Fiennes’s project is nonetheless borne out. If you have both read Jones’s book and seen Fiennes’s film, you may sense that each served as the rough cut of, or the first pass for, the other. Certain anecdotes go on too long both on the page and on-screen: The supernumerary paragraphs in I’ll Never Write My Memoirs devoted to Jones’s recollection of a notorious 1980 appearance on a BBC talk show, in which she slapped the host for his perceived rudeness, is matched by the immoderate amount of time eaten up in Bloodlight and Bami by her recapitulation of the same incident to her bandmates while they hang out in her dressing room. Unimaginative proposals in GBJ’s book about solving gendered power imbalances“every guy needs to be penetrated at least once”are echoed in the film during her reminiscing with Goude after a photo shoot. 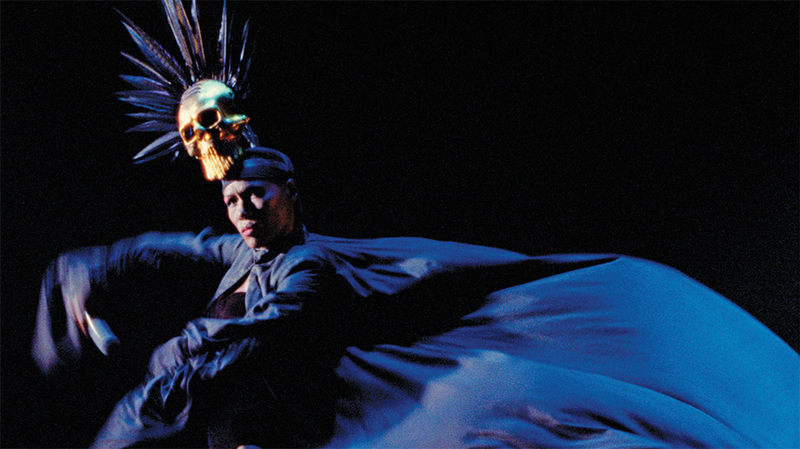 Grace Jones: Bloodlight and Bami opens on April 13 in New York and on April 20 in Los Angeles. The series “Grace Jones x 5” runs April 6–12 at Metrograph in New York. Melissa Anderson is the Film Editor of 4Columns, where she is also a regular contributor.